LOOKING FOR THERAPY? CLICK HERE to find out why a Clearwater Spa is the best choice for you. Clearwater Spas is located in the beautiful and green Pacific Northwest in Woodinville, Washington just outside of Seattle. Woodinville’s wine country is most known for its wineries, some of which are world renown. From wine tasting, hot air balloon rides, biking or walking along the Sammamish River trail, Woodinville provides the perfect backdrop for the relaxing hot tub lifestyle and Clearwater Spas. All Clearwater Spas are designed with E-Smart™ technology. This symbol signifies the highest energy efficiencies, the smartest engineering detail standards, global environmentally green components and e-cycling sound programs. All of Clearwater Spas are certified to California’s Energy Commission (CEC) – the most stringent energy standards in the United States. Clearwater Spas not only meets these standards – they exceed them. Clearwater Spas takes pride in using ABS to fabricate their Dura Floors on all of their spas. They also recycle their wood, plastic and cardboard waste. See for yourself what this commitment to excellence looks like. 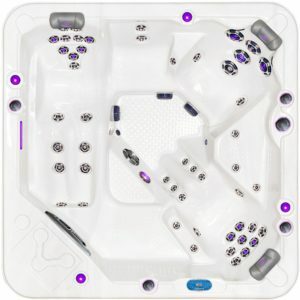 Contact Young’s Hot Tub Sales & Service Center today and get started on finding your own personal relaxation destination. 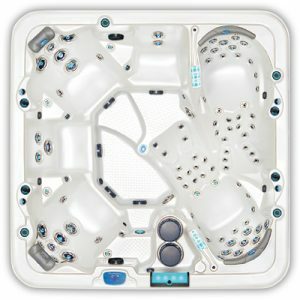 Clearwater Spas was the first company to produce an ecologically sound product, and all of their spas are produced without fiberglass resin and other destructive agents. Their EcoSpray™ was developed specifically to provide a solution to the styrene problem in the spa and bath industry and does not emit any volatile organic compounds (V.O.C.’s) into the air. Clearwater Spas structures are warranted against water loss occurring from defects in material or workmanship for 20 years from the original purchase date. 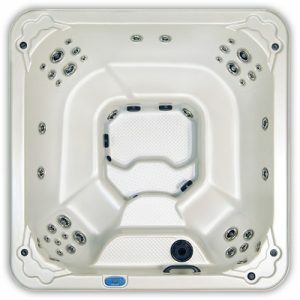 Clearwater Spas also warrants their spa shell interior surface against blistering, cracking and delamination for 20 years from the original purchase date. Clearwater Spas warrants the operating equipment and plumbing against defects in workmanship for five years from the original purchase date. Young’s Hot Tub Sales & Service Center, Inc. is an authorized dealer of Clearwater Spas in Union City, Erie, Warren, Buffalo, Jamestown, Meadville, Conneaut, Ashtabula, Pittsburgh, Cleveland, and throughout the Western Pennsylvania, Northeast Ohio and Western New York area. 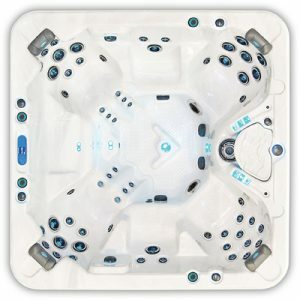 We have a large selection of Clearwater Spas on display in our showroom. To see more about each Series, including pictures, please click on the links at the top of this page. Still have questions? Submit a PRODUCT INFORMATION FORM or call us at 814-438-2512 or text 814-720-7943.